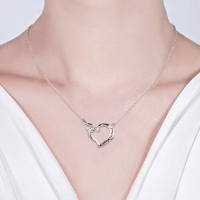 Infinity Open Heart Necklace With Birthstones Platinum Plated - This elegant Infinity Love Heart Necklace makes a meaningful keepsake for sisters everywhere! 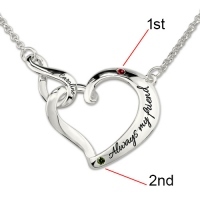 What a wonderful way to celebrate the gift of being sisters.The necklace's open heart design interlocks with an infinity symbol engraved with any words,continued with short sentence engraved on the heart. Plus, two birthstones add extra shimmer to this necklace. 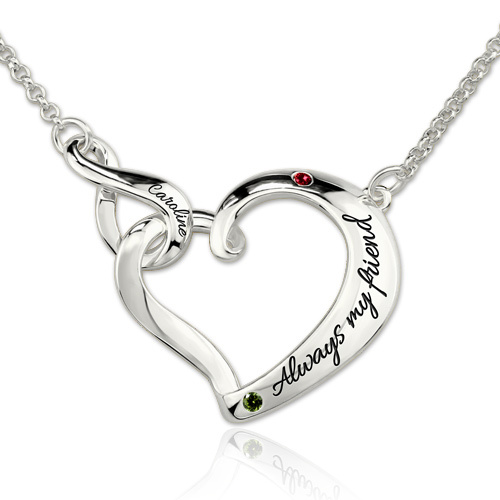 This gorgeous necklace makes the perfect jewelry gift for sister and strong demand is expected.